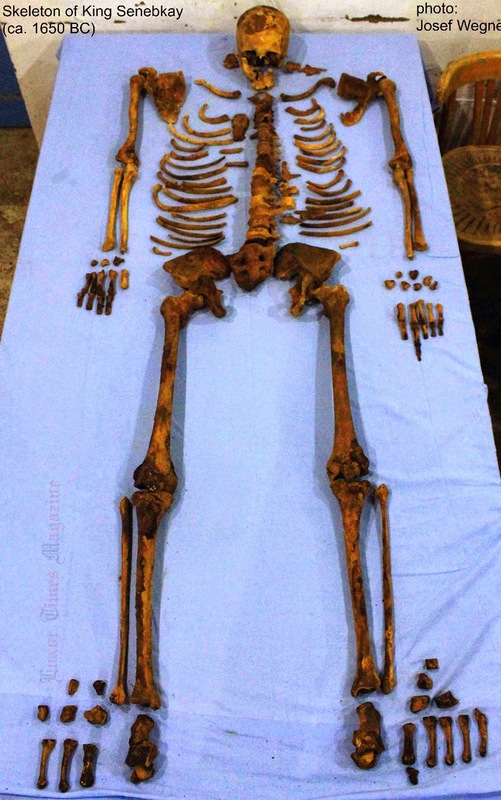 Elementary studies on the skeleton of SenebKay that was discovered in Abydos last year by the Mission of University of Pennsylvania directed by Dr. Josef Wegner (More details of the discovery HERE) showed 18 injuries on the King's bones as well as vertical cuts in feet, ankles and the lower back beside many injuries on the skull which indicated that the King died in a battle at age between 35 to 49 years old. 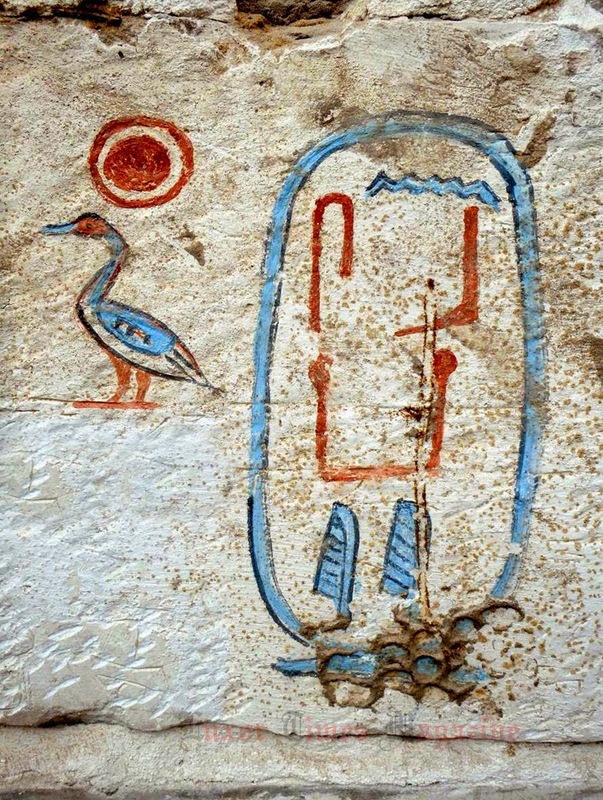 The King “Senebkay” was mentioned in Turin papyrus King List as a ruler of Abydos local ruling family for 4 and half years as a part of a family that didn’t last for long (1650-1600 B.C.) contemporary to the period of the Hyksos in Delta. 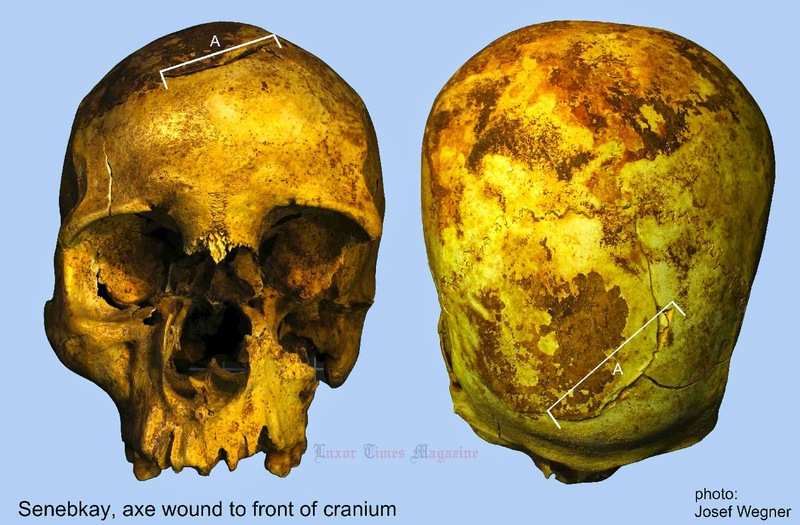 Dr. Josef Wegner, director of Pennsylvania University mission, said that the visible injuries refers that the King death was severe. 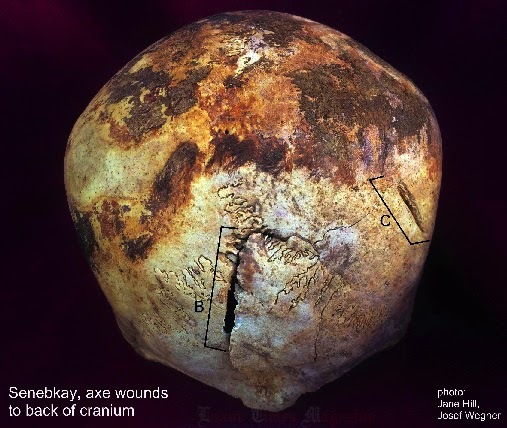 Also the sizes of the skull injuries show the sizes of axes were used in that battle of the Second Intermediate Period. The King was probably on his horse when he was attacked and hit at his lower back then ankles till he got on the ground when the attackers brutally killed him with their axes on his skull. Even though using horses in battles were not common at that time but the ancient Egyptians showed good skills in horse riding during the Second Intermediate Period which is an indication of the great role horses played in the military actions during this period even before the chariots technology in Ancient Egypt.